At Del Mar Dog Beach in Southern California Sunday September 9th, pooches weren’t just playing fetch on the shore. 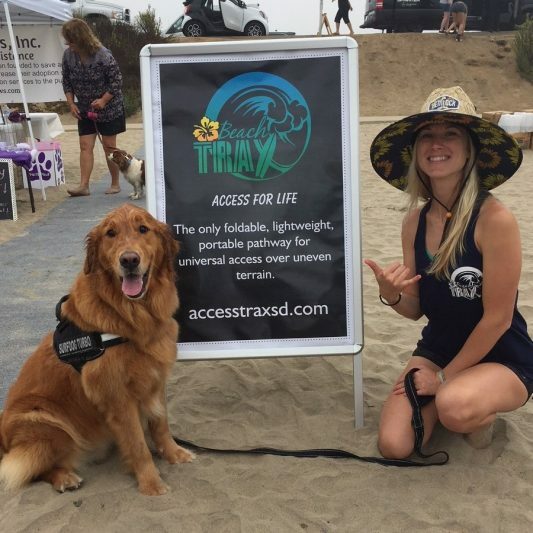 Each year, Helen Woodward Animal Center hosts the Surf Dog Surf-A-Thon competition and fundraiser where furry friends hop on a board and hang ten. It’s a family fun day complete with music, venders, food, crafts, and prizes. Our furry friend Surf Dog Turbo (Instagram @surfdogturbo) earned first place in the large dog category! We also met famous pups like Surf Gidget the Pug (@surf_gidget_the_pug) who placed 2nd in Best Overall. So how does a dog become a surfer? Just like anything else, you train them! In July and August, there are official Sup and Surf Dog lessons available for owners and their pets. 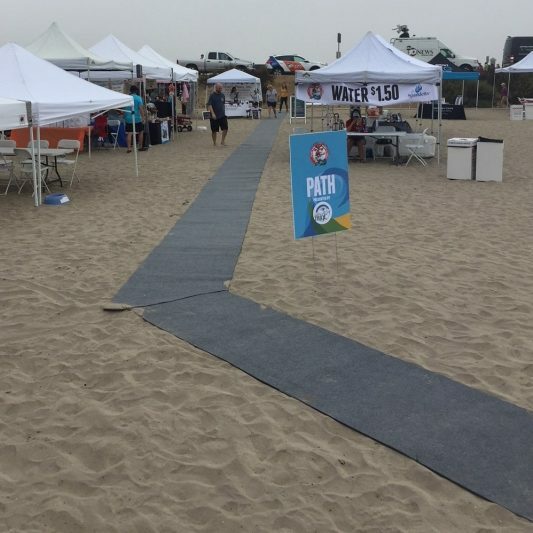 This year, Beach Trax was the official pathway used to help navigate the sand for all. To keep the walkway cool for feet and paws, we added a sturdy outdoor carpeting on top. 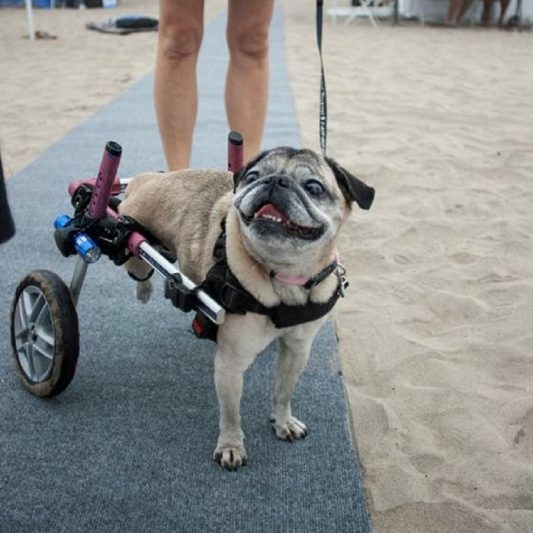 Our four-legged wheelie friend, Dotty, enjoyed having Beach Trax to make it easier for her to cross the sand! Venders and beach goers were also thankful. We were stoked to be a part of this awesome event and will be back next year! To learn more about the event, please visit Helen Woodward Animal Center’s website.